Many of you know of my love for Fuze juice drinks. They are not only delicious, but also provide vitamins and nutrients and their Slenderize line offers great juice drink tastes with low calories! I was looking for new and interesting ways to incorporate Fuze juice drinks into my diet and thought what better way to drink a healthy juice drink than in a diet-friendly smoothie? With so many great flavors of Fuze, I had a hard time deciding where to start, but here are some of my favorite recipes for Fuze smoothies. These recipes are simple and easy to make; simply add the ingredients in a blender and blend until smooth. 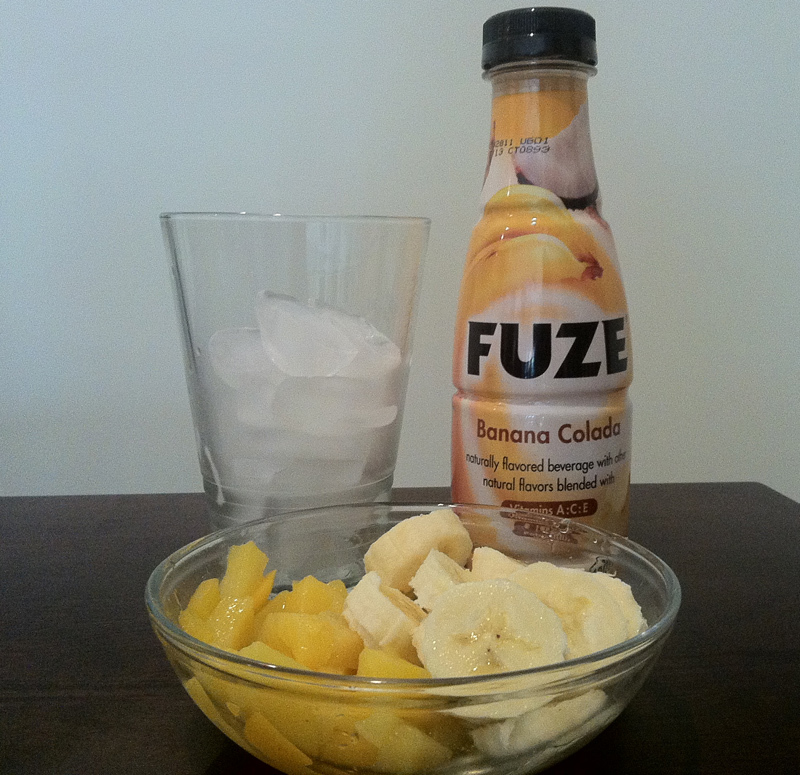 Smoothies can be tricky so if you results are a little too thick, add a little more of the Fuze drink. If you feel the mixture is too thin, try adding more ice. Be sure to use all fresh fruit with no sugar added and Greek yogurt, which has more protein to keep these smoothies healthy. If you don’t see a flavor that you’re interested in, try one of the other flavors of Fuze using your favorite ingredients. The possibilities are endless! Share your results with me; I’d love to hear from you!